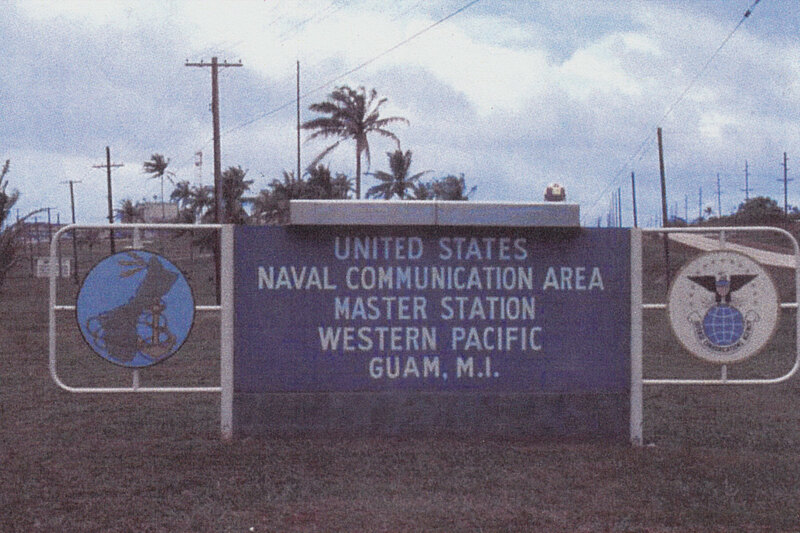 During our stay on Guam my dad was stationed at Naval Communications Center (NCS) Finegayan, which was re-designated as Naval Communication Area Master Station (NAVCAMS) by early 1980. 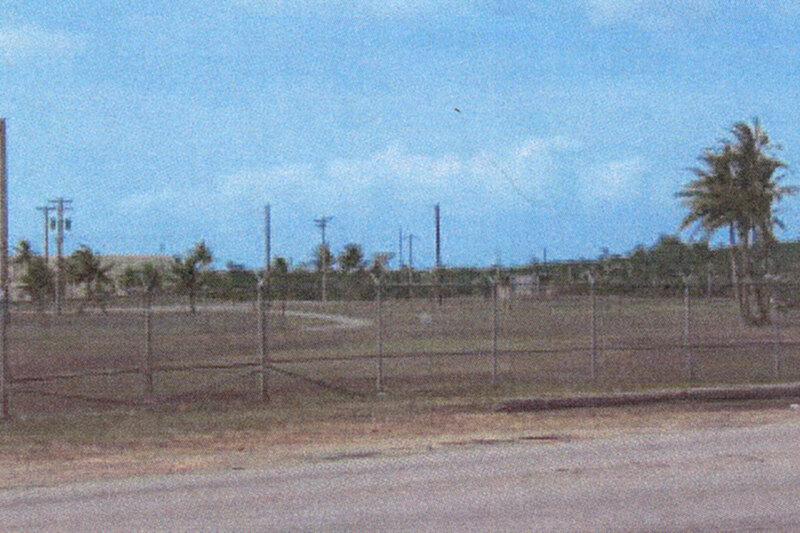 The original NCS base was stood up after World War II and located to the south about where the South Finegayan housing area (where we lived) is located. 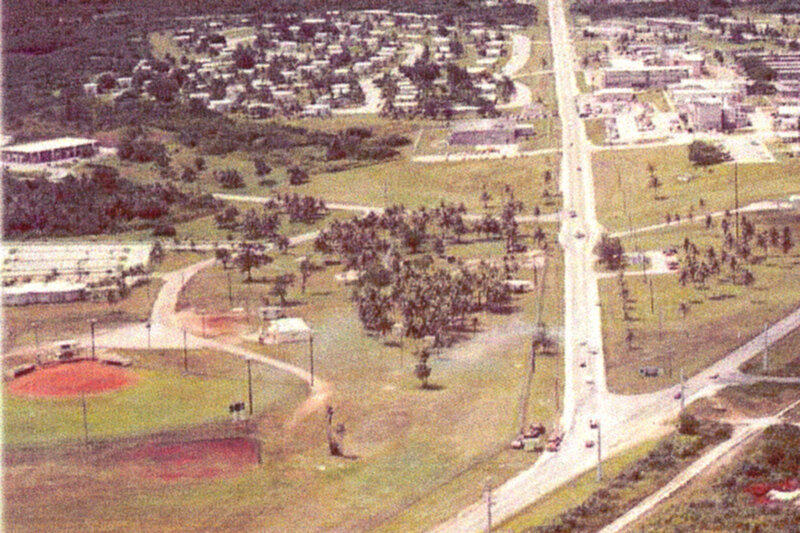 The “new” NCS was built as an Operations Center in the early 1950’s and the old NCS was slowly phased out after this. 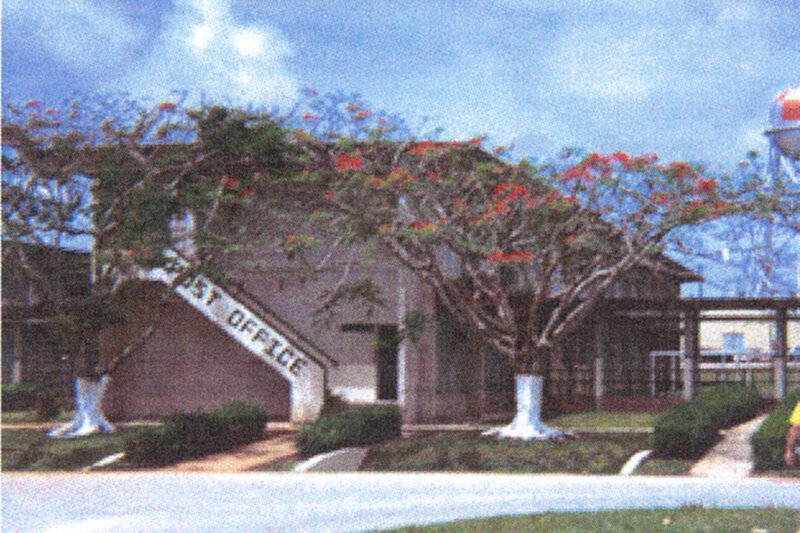 The base was later renamed as the Naval Computer and Telecommunications Center (NCTS). 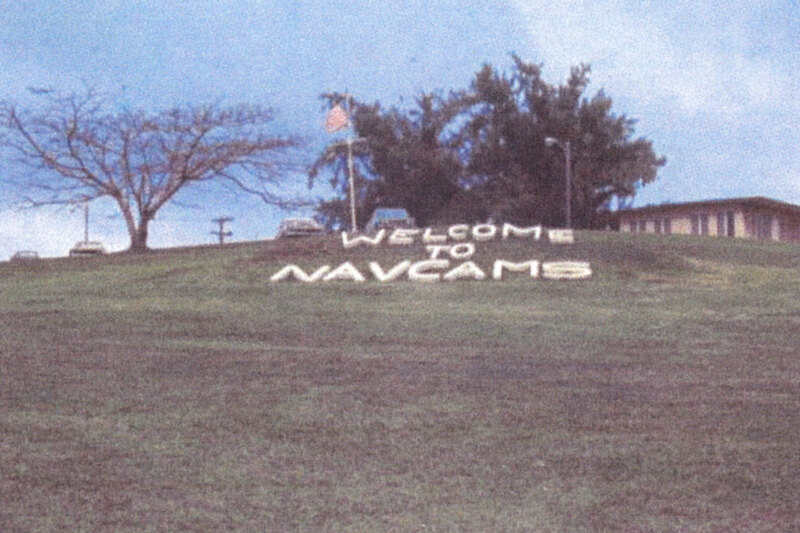 It slowly phased out its operations in the 1990’s and 2000’s, but as of 2010 is slated to be a major base for the Marines relocating from Okinawa. 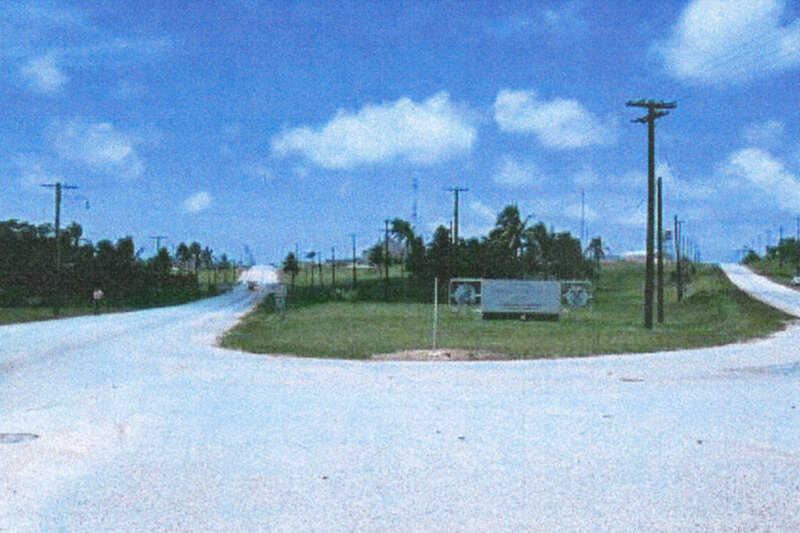 The road (known as Bullard Avenue on base) leading to the main gate of NCS/NAVCAMS. Route 3 is too the right and leads up towards Anderson AFB. The sign at the "Y" leading to the main gate. A view of the softball fields area on NCS from Route 3. I practically loved on those fields as my parents were heavily involved in the base softball league. My dad played on his division team and my mom was official scorekeeper for the league. The cool sign that sat inside the base. A overhead view of NCS/NAVCAMS. 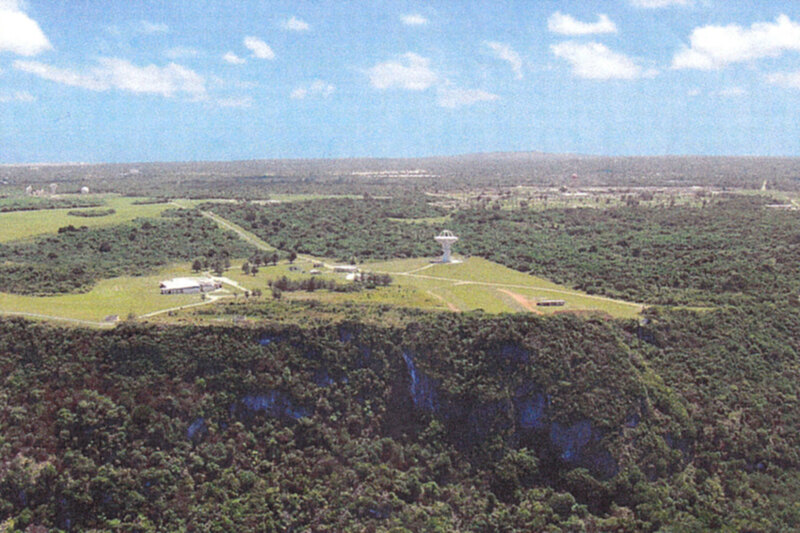 The softball fields are visible at bottom left while the main enlisted housing is at top center. 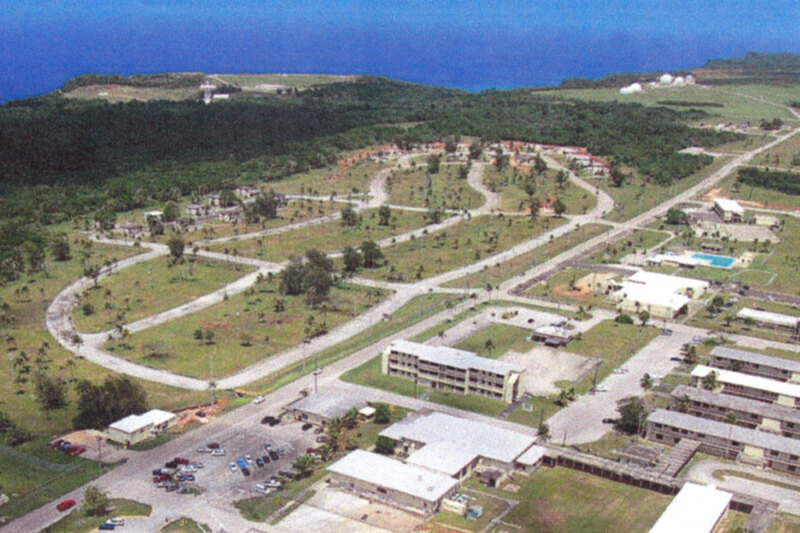 Another overhead view from c2004 showing that the old enlisted housing has been leveled. The base pool is clearly visible to the right. I spent many a day at that pool. The Post Office located in an old barracks building. I remember the book store was located nearby and me and my friend Chris McManis bought a lot of books, magazines, and comics there. 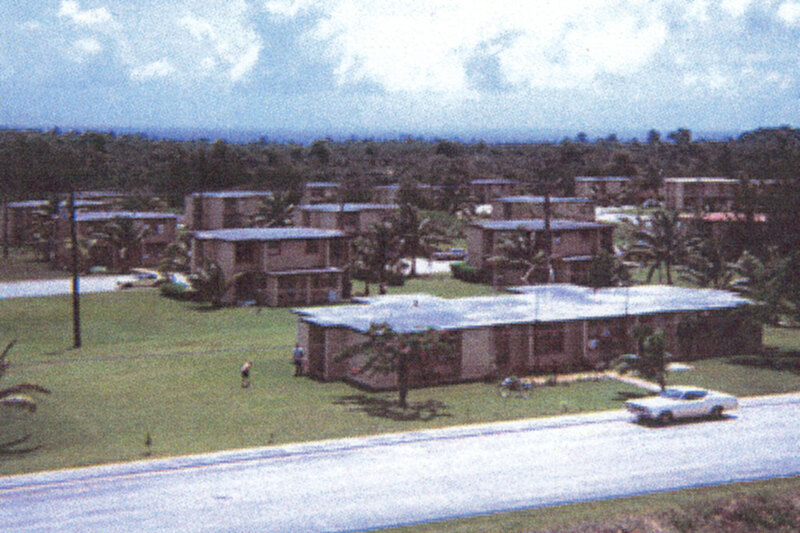 The old enlisted housing area alongside Bullard Avenue. I remember going here to see friends of my parents on occasion - particularly the Pritchard family. 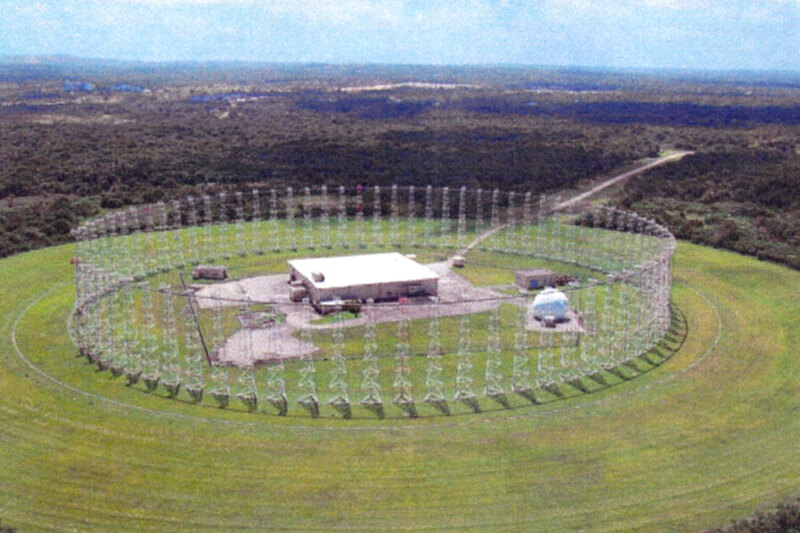 The AN/FLR-10 CDAA - "Elephant Cage" antenna array - on the northern end of NAVCAMS. My dad used to work here with other CTs or "Spooks." This facility was later abandoned and I believe was dismantled in the last few years. The old Classic Wizard site near the coastline on base, located down past the old bowling alley.